Although not much has changed with Google Maps mobile services, the desktop app just got redesigned from the ground up in what is, essentially, the biggest overhaul since Maps' initial launch almost eight years ago. 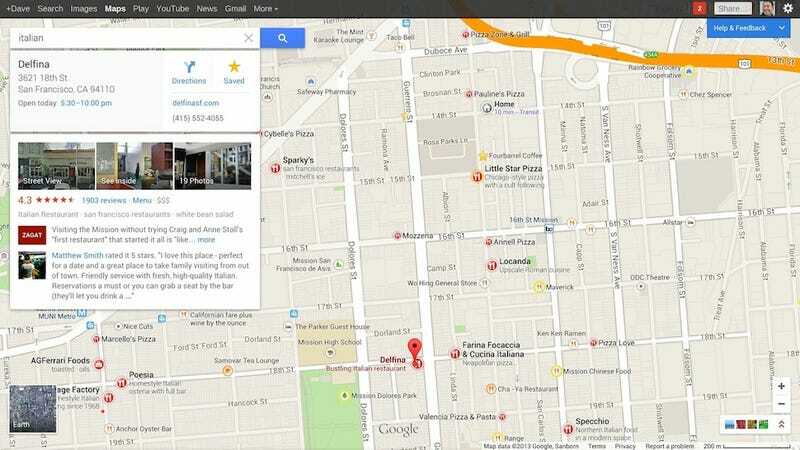 More specifically, though, Google wants to give you your very own map "built for you." Gone is the navigation sidebar, leaving you with wall-to-wall maps and nothing else. Your Maps desktop client now looks more like its mobile counterpart than anything else. But with all of Google's mapping services wrapped into one, it's packing way more juice. 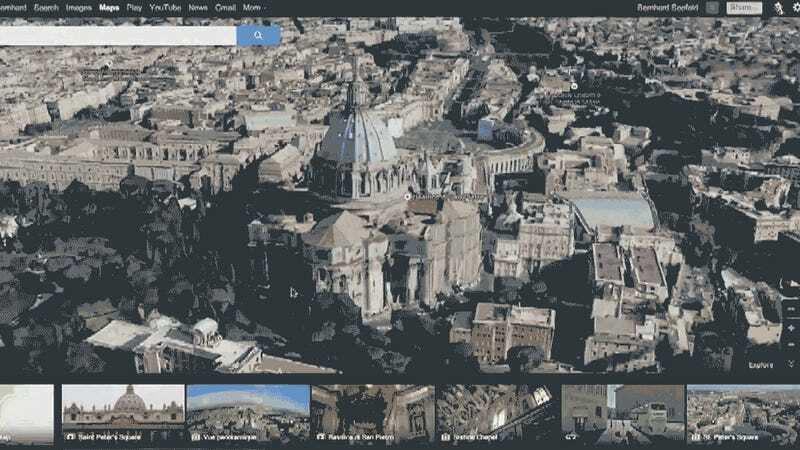 In addition to integrating your personal preferences, the new Maps platform brings in both Street View and Google Earth into one massive, comprehensive system. A massive system that, hopefully, should actually make finding what you're looking for a far more pleasant experience. Quickness and convenience at hand are number one here. All your results are labeled directly on the map, so you can scan for information without having to dart back and forth from map to sidebar. You can even use filters to tailor what you're seeing (such as location, landmarks, and friend's suggestions, among other qualifiers), meaning you can finally get rid of all the noise. But once you do find what you're looking for, as soon as you click anywhere on the map, and related information—most common travel routes, adress, Zagat information, recommendations based on general popularity as well as what your friends like, etc.—pops right up on a friendly little display, again, all within the vector map interface. The best part, though, is that your map gets to know and better serve you the more you use it. As soon as you rate certain restaurants positively, they'll be more readily apparent on your screen next time. Your own personal landmarks will begin to appear as if by magic, and a yellow glow will signify places Google Maps thinks you might enjoy. The first set of invites should be going out tomorrow morning, and you can request your own here.